Technology is rocking the publishing world in surprising ways. In June, I attended the joint conference of the American Society of Indexers and the Indexers Society of Canada in Chicago. 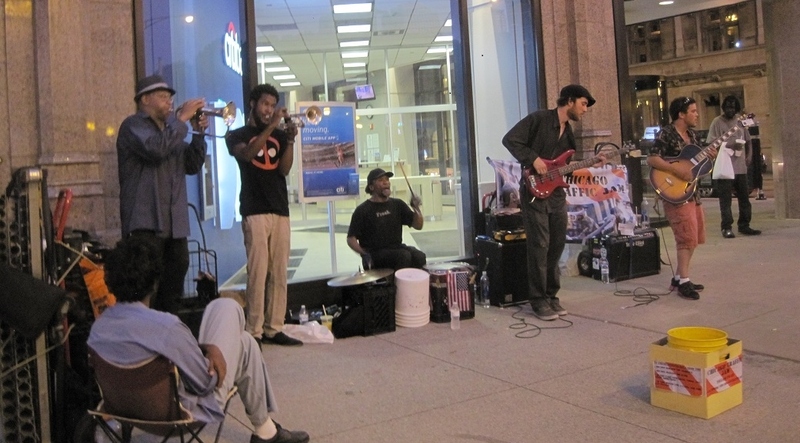 After listening to the street music on Michigan Avenue (above), I listened to a round table of publishers from the sectors of education and research as they discussed market shifts and the role of indexing today. Online technology has changed not only their approach to their product, but their very idea of who is the customer. John Magee (Moderator), Cengage Learning, provider of educational content, technology, and services. Ted Trautmann, Wolters Kluwer Legal & Regulatory, provider of primary and curated content and research and compliance tools. Chuck Knapp, Bloomberg BNA, provider of news content and reference products for business and professionals. Cengage sees technology driving a change in student behaviour–students say they are not getting value from textbooks when they can do more and more online, and their reading devices have been improving vastly. Most users of Bloomberg BNA’s products “don’t want to see everything.” They want customization, like custom email alerts. People want their news delivered based on what topics they pick. According to Magee, “Customers lead you to what you do.” Cengage provides subscriptions to online products. They also put books on line so that customers can access and search them as an online product. Then to supplement keyword search, they make the back-of-book index linkable and display the index terms at the bottom of the record, enabling users to move around from there.Essentially these books are double-indexed. On top of the regular index, a specialist adds the taxonomy terms. Now the users can discover information in books the same way they do with other digital. Wolter Kluwers is now 50% digital and is looking for more ways to surface information. In their first foray to online, they were creating just a different version of print; they wanted to keep things similar to what customers were used to. Then they learned the importance of the user experience. To develop their latest platform they used personas. These personas are based not on roles, but on how different people approach research. Bloomberg BNA is over 80% digital. Taxonomy is driving who gets what news when. Cengage uses mechanization for items that have low research value and require fast turnaround (e.g. periodicals, digital archive). With over tens of millions of items, it’s not practical to use people. Tools get the job done quickly. Wolter Kluwers experimented with statistical-based tools and got mixed results. Rules-based tools work better. Their editors help write the rules and test and refine them. Bloomberg BNA is also using rules-based mechanization as they add more and more content. The panel was unanimous on the limitations of ebooks for their markets. Magee mentioned that smaller stand-alone, reference, or how-to books can work as ebooks. But when Cengage put out an ebook, it was no better than a printed book. And ebooks have no place in attorneys’ research workflow. The Wolter Kluwers librarians hated them because they gave no visibility into usage, and they don’t allow for cross publication search. Magee described a Cengage app called Access My Library. If there is a library near you, you can access a Cengage reference product. The app provides speed of answer (which Google can do) with authority (which Google is not). Cengage used to view librarians, not readers, as their market. But once they became measured on re-subscriptions they turned their focus to the features and functionality that end users wanted. An online usability study was done years ago, and Magee feels it is time for another one. As resources are limited, he needs to build a case showing the positive financial impact. Wolter Kluwers once regarded law librarians as the customer but this has changed. Trautmann said young people are using Google search (which senior partners find depressing) but they need to get their bearings. [Users] don’t know where to look and they don’t have the patience to spend time digging around. So it’s up to us to learn what they need and to tune our algorithm to accommodate different kinds of searches and behaviours. Knapp described the great relationship they have with their sales reps who are on the front line with the customer. As the reps demo the product, they obtain valuable feedback which is used to make improvements. The panel agreed on the importance of a lean agile mentality. You are not going to get it perfect. And once you show [the users] what they are getting, their expectations will change. They need to see something to react to. So fail fast on a small scale. Cengage has a pool of contractors for back of the book indexes. They use the ASI Indexer Finder (Canada’s version is Find an Indexer)and look for people with specialties, like calculus, or fluency in Arabic or Chinese. When they were giving indexing tests to screen new additions to the pool, what worked best was talking with the indexer about why they chose their answers. Wolter Kluwers editors are subject matter experts, many with law degrees. They maintain traditional indexing with a pool of indexers, but increasingly they outsource. 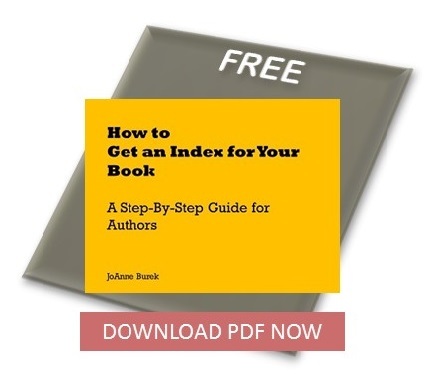 Higher-end products go to expert indexers. They’ve had vendors create an index with software, and got rather embarrassing results. As Ted Trautmann commented,”You must have a human review the work of a machine.”In indexing tests, Trautmann expects the prospect to balance granularity with ease of navigation. If the content is complex and important, it is better to go deep at the expense of navigation. At Bloomberg BNA indexers are mostly in house. They look for attorneys who are good at indexing, which is not easy to find. These would be detail-oriented people who enjoy the process. On the indexing tests they watch how the prospect solves a problem. In summary, Cengage, the education provider, has reached a higher state of maturity with the new technology, while the other two firms, who are in research and content delivery, are still finding their way but are perhaps not far behind. All companies had one major goal for their business—to deliver a superb end user experience.